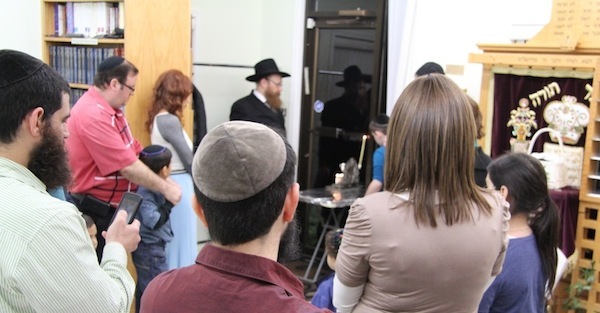 There were many Chanukah celebrations that took place around the Lower Mainland last month. Here are but a sampling of the events that were held to mark the holiday. 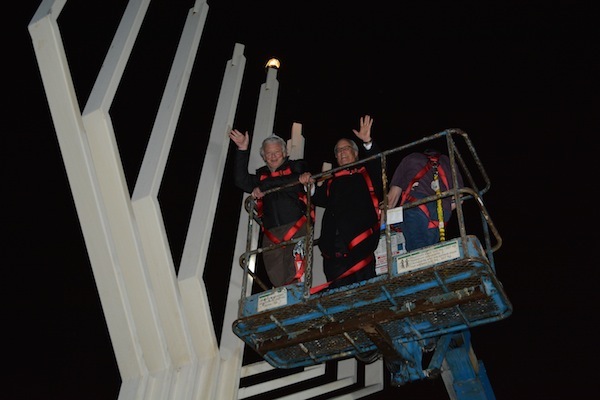 Despite the frigid weather, more than 200 people gathered on Dec. 25 for the annual lighting of Canada’s tallest menorah, the Silber Family Agam Menorah. The menorah is usually placed outside of Vancouver Art Gallery but, due to construction, it was placed outside of the Vancouver Central Library on West Georgia Street this Chanukah. The program included greetings from MLA George Heyman, Rabbi Avraham Feigelstock, Herb Silber and Rabbi Yitzchak Wineberg. B.C. Premier Christy Clark sent her greetings to be read at the event as well. On Dec. 25, the third Iron Chef Chanukah took place, hosted once again by the Centre for Judaism of the Lower Fraser Valley. 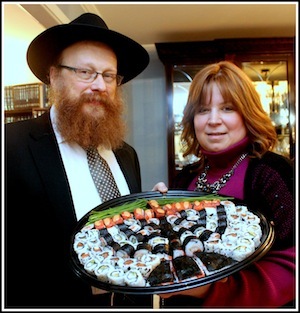 “It was an evening that warmed my Yiddishe kishke,” one of the guests commented, echoing the sentiments of many. 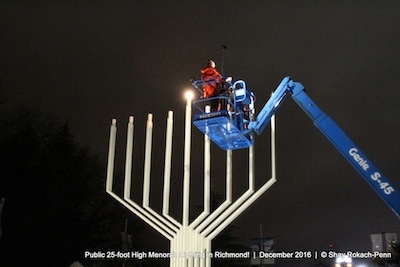 On Dec. 26, the third night of Chanukah was marked in the plaza of Richmond Public Library and Cultural Centre with a celebration that included the lighting of a 25-foot steel menorah designed by the late Arthur Erickson and fabricated by Ebco Industries Ltd.
MLA Teresa Wat was in attendance and addressed the more than 300 people who braved the difficult weather conditions to come out for the community event, which also featured kids entertainment and Chanukah treats. 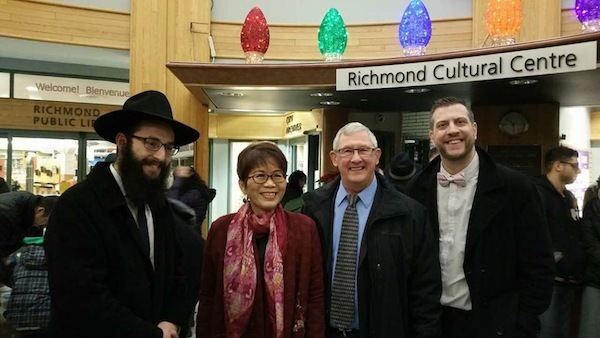 Some of the companies and organizations involved were the Bayit synagogue (Rabbi Levi Varnai and president Michael Sachs), Chabad of Richmond, the City of Richmond, Richmond Public Library and Cultural Centre, and Helmet and Hugo Eppich from Ebco Group of Companies. Joe Dasilva was a main organizer. 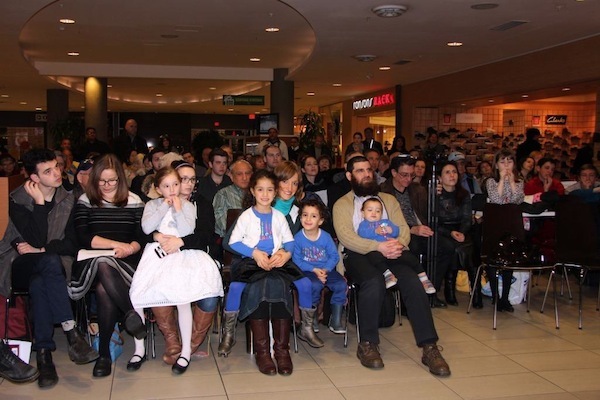 Approximately 120 people attended the annual Centre for Judaism’s public menorah lighting at the Semiahmoo Shopping Centre on Dec. 29. MLA Marvin Hunt, White Rock Mayor Wayne Baldwin and councilors Dave Woods, Helen Fathers, Mike Starchuk and Rudy Storteboom joined the celebration and brought greetings from their cities and from the government of British Columbia. Rabbi Yitzchak Wineberg, director of Lubavitch BC, and his wife, Rebbetzin Henia Wineberg, also joined the Centre for Judaism’s Rabbi Falik and Rebbetzin Simie Schtroks for the evening. Although MP Dianne Watts was sick with the flu, she made sure to call Simie Schtroks prior to the event. She also sent a letter of greetings on behalf of the Government of Canada. In the letter, she stated her support for the Jewish people and the state of Israel, especially at this time. 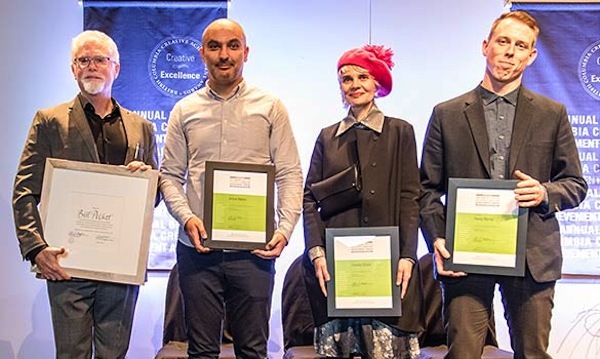 Jason Aginsky was awarded the Centre for Judaism’s Lamplighter Award. 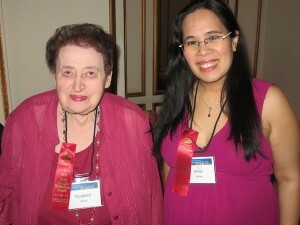 Aginsky was the second-youngest participant in the B.C. Ride to Conquer Cancer in August 2016, when he rode the 250 kilometres from Surrey to Seattle over two days. He raised more than $4,000 for the cause. Cantor Yaakov Orzech lit the menorah and sang Chanukah songs. 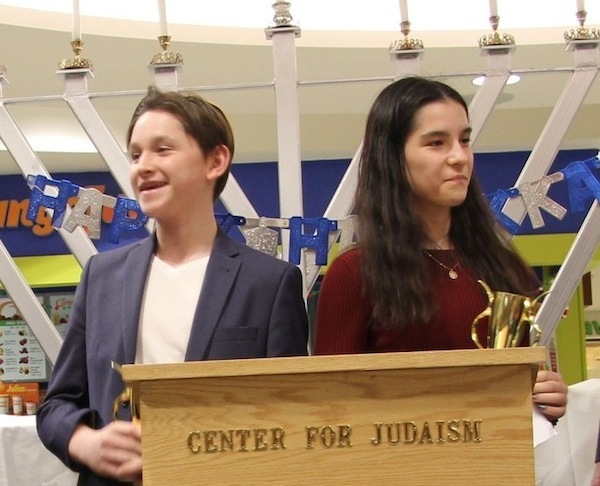 Musical entertainment, including “The Baal Shem’s Niggun,” was provided by violinist Robert Rozek, one of his students, Rebecca Bukhman, and her mother, musician Rada Bukhman. The talented young harpist Adina Ragetli also entertained the audience with Jewish songs. Not to be forgotten was a quick game of Let’s Make a Chanukah Deal, as well as doughnuts, chocolate gelt and dreidel glasses. 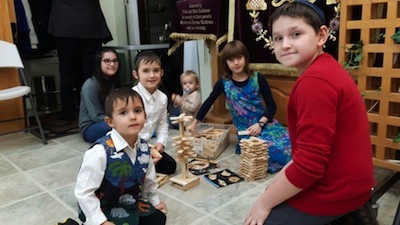 Among the many community celebrations of Chanukah this year were, from the first to fourth night of the holiday, gatherings in Vancouver, Richmond, Surrey and the North Shore. 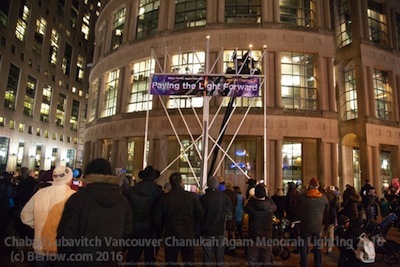 More than 300 people gathered at Vancouver Art Gallery on the first night of Chanukah, Dec. 6, for the lighting of the tallest menorah in Canada, the Silber Family Agam Menorah. The children enjoyed crafts and entertainment inside the gallery and then everyone went outside (in the pouring rain!) for doughnuts and cocoa. The annual event, which is sponsored by the Silber family in memory of Fred Silber z”l, featured greetings from the dignitaries and politicians who were present, live Chanukah music by Dr. Anders Nerman and the menorah lighting led by members of the Silber family. 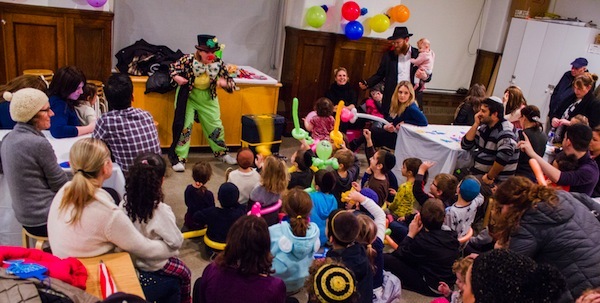 Approximately 300 adults and kids celebrated the second night of Chanukah with the lighting of a giant menorah, live music by Nerman, magic by Yeeri the Magician, and traditional potato latkes and sufganiyot at the Richmond Library and Cultural Centre. 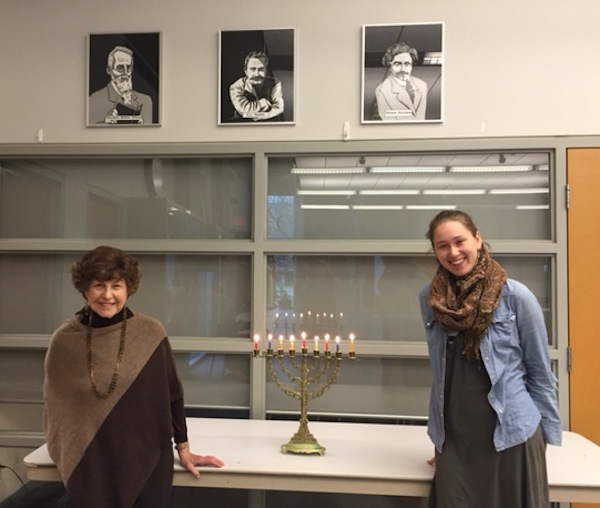 “Sharing the Jewish Festival of Light with so many people was an incredible community celebration that really expanded cultural awareness,” said Shelley Civkin, library communications officer. Three generations of the Averbach family joined Richmond Mayor Malcolm Brodie in lighting the menorah. 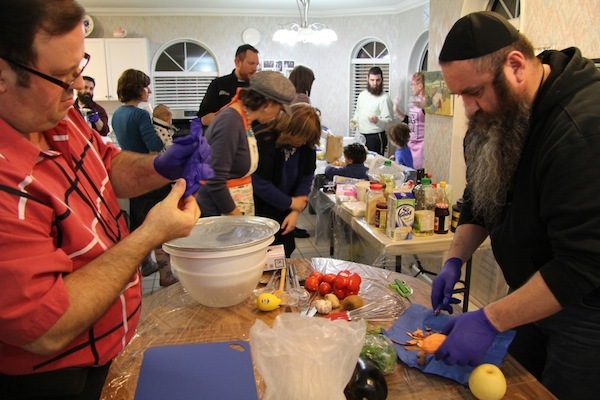 On the third night of Chanukah in Surrey, after the menorah lighting led by Rabbi Falik Schtroks, and a dairy and latke dinner, those who attended the event at the Centre for Judaism, Chabad in White Rock/Surrey, participated in the third Iron Chef Chanukah. Iron chef Marat Dreyshner was helped by sous chefs Ella Dreyshner, Rabbi Nuta Yisroel Shurack and Debbie Cossever. Competing for this year’s title was award-winning pizza chef Aaron Gehrman and culinary expert Rae Friedlander Sank, who worked with sous chefs Nissim Gluck and Avraham Nissan Zabylichinski. 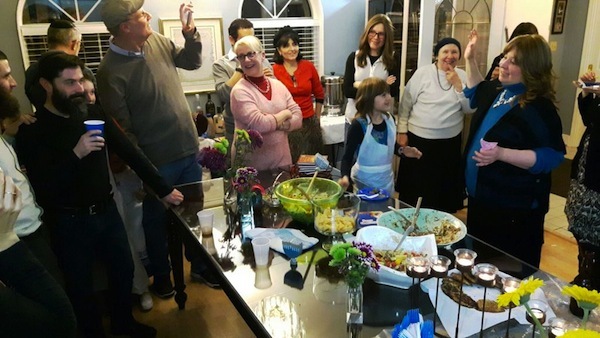 Host and director of Iron Chef Chanukah, Rebbetzin Simie Schtroks, said that, although this year was the fiercest competition yet, there was an energetic and fun atmosphere in the Iron Chef kitchen. Many in the audience tried to assist the teams with small tasks or by keeping them entertained with Chanukah songs. Ethan Dreyshner helped the rebbetzin as second emcee and interviewer. 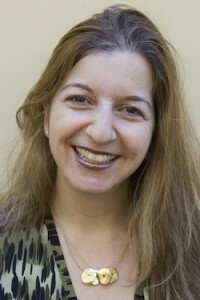 Mariasha Schtroks created the rating sheets for the judges. While prizes were earned by all participants, the winning team and their friends will be treated to a five-course gourmet dinner catered by Simie Schtroks. Scores were so close that you will have to attend next year’s Iron Chef to find out which team won. 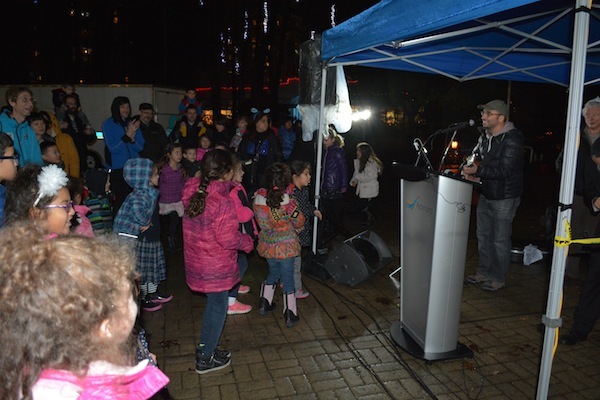 The evening of Dec. 9 saw the first-ever menorah lighting at Lonsdale Quay in North Vancouver. 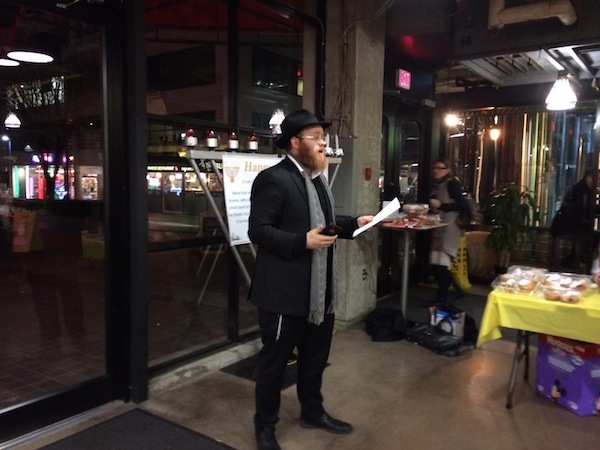 Set against the backdrop of downtown Vancouver, the event was hosted by Chabad of North Shore Rabbi Mendy and Rebbetzin Miki Mochkin and their family. Rabbi Mochkin opened the occasion with a few words about the meaning of Chanukah. He stressed the importance of standing one’s ground in the face of adversity, and the value of picking oneself up, no matter how hard one has fallen. 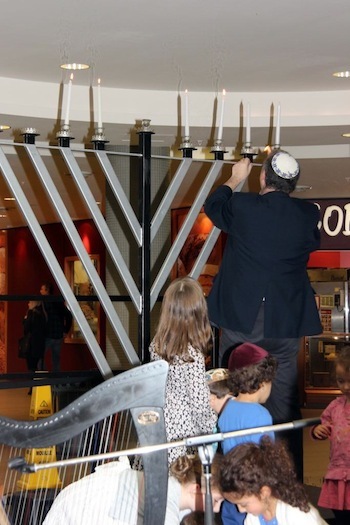 The menorah was lit by Rabbi Yitzchak Wineberg, executive director of Chabad Lubavitch BC. Doughnuts were enjoyed by everyone and the kids had a grand time at the impromptu Dreidel Station. 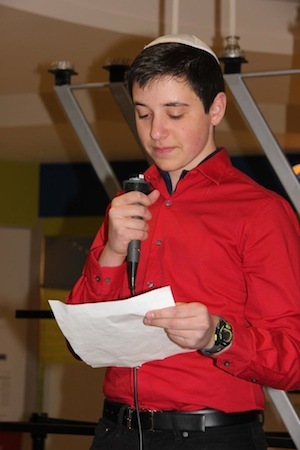 On Sunday, Dec. 21, the Centre for Judaism in Surrey/White Rock held its annual menorah lighting at Semiahmoo Centre, and awarded its inaugural Young Lamplighter Award to Yosef Nider, pictured here. The young violinist, a student at Vancouver Hebrew Academy, received the award for raising more than $10,000 for cancer research. Mayors Wayne Baldwin and Linda Hepner presented the award. 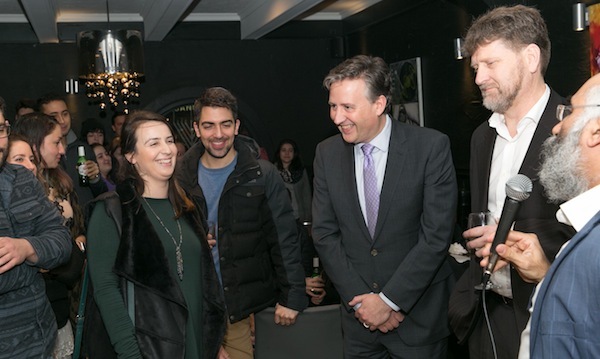 The lighting was attended by local city councilors and Jewish community members, all welcomed by the centre’s Rabbi Falik and Simie Schtroks. 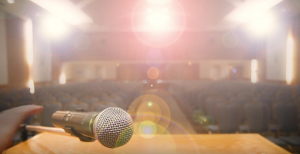 To nominate for next year’s award a youth between ages 5-18 who is illuminating his or her part of the world by promoting goodness and kindness, email [email protected] with Lamplighter Award in the subject line. Nominations will be accepted through September 2015.